As a response to shortcomings of the current mental health diagnostic system, professionals are developing alternative classification systems as well as uniting toward systemic reform. This article summarizes a recently proposed alternative system published earlier this month in The Journal of Abnormal Psychology alongside a historical overview of the larger reform movement, recently outlined in The Journal of Humanistic Psychology. 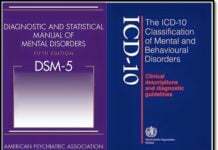 The Diagnostic and Statistical Manual of Mental Disorders (DSM) is regarded as the main authority on the classification of mental health diagnoses in the United States and beyond. The DSM’s classification system is the framework that structures clinical culture, from education and training to research and practice. Since its first release by the American Psychiatric Association in 1952, the DSM has come to govern the epistemological backdrop entrenching psychological rhetoric and public discourse. Throughout the years, the DSM has received substantial criticism and has undergone numerous revisions. The most recent revision, the DSM-5, was published in 2013, and despite being the centerpiece of scrutiny and debate on scientific and ethical grounds within mental health related professions, remains the primary diagnostic reference in the U.S.
Roman Kotov and a team of clinical researchers have identified limitations to the existing DSM taxonomy, criticizing the weak validity and the untested hypotheses that lay the foundation for the current diagnostic categories. “First, these traditional systems consider all mental disorders to be categories, whereas the evidence to date suggests that psychopathology exists on a continuum with normal-range functioning; in fact, not a single mental disorder has been established as a discrete categorical entity,” they write. To articulate this dilemma further, these arbitrary diagnostic categories are assigned once a client meets the minimum criteria within a category. If the minimum is not met, even if off by a single symptom, clients are assumed to fall outside of the range of diagnosis, despite reporting qualitatively similar symptoms and therefore, potentially needing additional care and support. The shortcomings of DSM categories extend beyond the diagnostic cutoffs and appear within the categories themselves. Built-in assumptions of homogeneity within diagnoses, purported to occur as a singular, one-size-fits-all process, leave no room for the heterogeneous reality of mental health experiences, or the realistic prevalence of comorbidity within mental health experiences. Kotov and fellow researchers are not alone in their critique of the DSM-5. 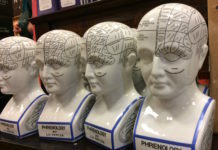 In 2011, before the release of the DSM-5, the British Psychological Society (BPS) unabashedly criticized its proposal for lacking scientific validity and medicalizing normative experiences and behaviors, becoming a catalyst for other psychological organizations to follow suit and openly express grievances. The Society of Humanistic Psychology (SHP) is one such organization that has led efforts to reform the DSM-5. Robbins, Kamens, and Elkins describe the history of this reform, beginning with the creation of the “Open Letter,” a public critique of the DSM-5 to the American Psychiatric Association, which received astounding support and recognition from over 15,000 mental health professionals who provided their signature, over 50 mental health organizations who endorsed the petition, and news agencies across the globe who covered the story. The attention this received gave rise to the counter-narrative that has since resonated with many in the field who have united to push back on traditional diagnostic classifications. As Robbins and his co-authors write, a movement to recreate diagnostic classification systems has birthed novel ideas and alternative classification system proposals. Kotov and his team of researchers have formed a consortium to propose one example of an alternative classification system known as the Hierarchical Taxonomy of Psychopathology (HiTOP). This alternative system aims to operationalize the dimensional quality of diagnoses to be consistent with evidence suggesting that psychopathology is experienced along a spectrum rather than categorically. The objective has been to test and develop a multi-level, hierarchical approach to identifying psychopathology through quantitative methodologies. This alternative system incorporates comorbidity and allows for flexible adaptation to individual client needs, the authors write. What sets it apart from other alternative models such as the National Institute of Mental Health’s (NIMH) RDoC framework, is that HiTOP was designed to systemically approach mental health dimensions whereas RDoC is primarily concerned with identifying biological bases of mental health diagnoses. 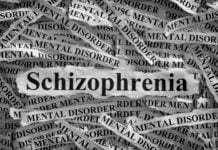 However, Robbins and co-authors of the SHP Open Letter Committee identified additional shortcomings to the DSM-5 proposal, which extended beyond operationalizing mental health and confining it to an individualistic experience. In the original “Open Letter,” Kamens and co-authors raised concerns related to the protection of the general welfare and vulnerable communities against overmedicalization and stigmatization of normal stress, calling attention to a notion often underlying diagnosis—the pathologizing of sociopolitical deviance. Furthermore, the authors requested that future DSM proposals be “submitted for an outside, independent review by scientists and scholars who had no associations with the DSM-5 Task Force or the American Psychiatric Association.” This request was denied. Since the original open letter, the Global Summit on Diagnostic Alternatives (GSDA) was established around 2013 as an internet-based platform to openly discuss the future of mental health-related classification systems. “Our ultimate goal was to generate transdisciplinary, international, egalitarian conversation about the possibility, feasibility, and potential implications of new means for conceptualizing mental distress,” write the authors. At this time, the GSDA is no longer active, yet the authors and many others in the mental health field remain active in efforts toward reforming the DSM-5. As alternative proposals continue to develop, and efforts toward reform persist, all eyes are on the mental health field and their next collective move. Why all this fuss about diagnoses when the treatment is always the same for every label? We all know that, no matter what, you’re going to end up on “antidepressants” or “antipsychotics” or both! The DSM is only a nice, fat source of revenue for the APA and an excuse for psychiatrists to say that they are valid doctors because they can diagnose “mental illnesses”. It’s the goose that lays the golden eggs for the APA, drug companies, and psychiatrists but in realty is only a source of stigma and destroyed lives for those it’s applied to. Agreed. The critiques offered don’t get to the fundamental problem with the DSM concept – namely, that adaptive strategies to cope with unrelenting chronic stress are somehow diseases or disorders or dysfuntions, as if the “normal” reaction to every situation is to be mildly happy or mildly annoyed, and any more severe reaction to the status quo, however horrible that status quo might be, is an aberration. There is no acknowledgement that what they call “mental illnesses” are 90% or more of the time normal reactions to abnormal circumstances. And since there is no way to refute one’s diagnosis, they also provide excellent cover for drugging any manifestations of stress into submission without the slightest effort to understand the origins or purpose of the person’s behavior or emotions. Yes, you’re likely right. If psychiatry were to actually reform the DSM, psychiatrists would be compelled to learn how to practice real medicine, the way they did when they were medical students. However, had they wanted to continue practicing real medicine, they wouldn’t have become psychiatrists in the first place. Oh oh, here we go again. Part of this has got to be about the power struggle between psychology and psychiatry. (One example, psychologists demanding prescribing privileges.) The DSM-5, like every preceding DSM, makes it easier for psychiatrists to label people, and to collect a tab for the drugging/treatment of the label. Current understanding is that all this psychopathology exists on a continuum with normality disorder. The alternative approaches cannot be much of an improvement over the DSM if they are an improvement at all, except by ceasing to label and drug people entirely. Last time I looked co-morbidity was just an excuse for poly-pharmacy. There is something to be said for “flexible adaptation”, but if you ask me, there is more to be said for ceasing to rely on psych-drugs as the panacea for disturbing behaviors. It’s not a multiple size matter at all, if you give an elephant enough sedative, you can put that elephant under, no matter how large a beast we’d be dealing with. Are these alternative diagnostic methods going to produce fewer mental patients than the DSM with its ever rising casualty count. I have my doubts as to whether that, fewer patients, and as a logical consequence, more “health”, is what these psychologists and others are after with their “alternatives”. I like the UK psychiatrists statement that psychiatric diagnsosis is potentially damanging and that there are already alternatives such as psychological formulation. Which sounds a bit like gobblebegook until you realise that psychological formulation means asking someone what thier problems is, what might have caused it and what might help? Which is no more than most of us can do most of the time. It’s nice to see the scientific community working in earnest on alternatives to the DSM. However, I see some of the same assumptions that underline the DSM’s biomedical view in the psychologists’ Hierarchical Taxonomy of Psychopathology proposal (https://www.ncbi.nlm.nih.gov/pubmed/28333488). Thoughts, feelings, and behaviors are regarded as “symptoms” (i.e., pathological expressions of a disease). Problems of thinking, feeling, and behaving constitute “psychopathology”; people with multiple such problems have “comorbidity.” The authors promote their DSM alternative as useful in understanding topics such as “pathophysiology” and “illness course.” Aside from dropping the DSM’s categorical diagnostic system, and replacing DSM diagnostic labels with different diagnostic labels, I’m not sure the proposed alternative is really that different from what we have now. People struggling with psychological problems will still be given diagnostic labels based on the presumption that they are mentally ill. And it is this philosophical paradigm, not the particular names or scientific basis of DSM diagnoses, that is the real problem. Beware the word “alternatives.” As in “you can’t trash psychiatry without having an ‘alternative'” — the hell I can’t! To seek an “alternative” to anything, the thing for which an “alternative” is being sought must have some actual value in the first place, but could maybe use some improvement. Otherwise the notion is meaningless and ridiculous. When people denounce racism or sexism are they implored to first suggest an “alternative”? The problem with treatment “alternatives” is that they represent a surrender to forced treatment. If forced treatment were outlawed, non-forced treatment would not be an “alternative” treatment, it would be standard practice. I’m not for “alternatives” to forced treatment. I’m for an end to forced treatment. There is a big difference. Here we’re talking “alternatives” to the DSM, but the principle is still the same, there is no “alternative” like no catalog of “mental disorder” labels (insults) and their (mis)”treatments” (confinement and drugs). These “alternatives” to the DSM would be other DSMs, more or less, and these people have better things they could be doing with their time. Here’s a novel idea: STOP MAKING UP FAKE DISEASES TO RAKE IN FILTHY LUCRE AT THE EXPENSE OF REAL HUMAN SUFFERING! It’s just plain evil, and everyone who understands anything about psychiatry knows it. END PSYCHIATRY. The sooner that psychiatry is abolished, and the sooner that the DSM and every idea of an “alternative” is extinguished, the sooner health and freedom and happiness will flourish. Here’s an alternative: The alternative to psychiatry is health. Here’s another: The alternative to psychiatry is liberty. Here’s one more: The alternative to psychiatry is happiness. In sum, the alternative to psychiatry is life. Slay the Dragon of Psychiatry. As a former contributor to the Global Summit for Diagnostic Alternatives, I found the two years or so of its polylog interesting but ultimately empty of actionable content. The group seemed unable to move from observations and critiques into any sort of ordered approach or process for developing alternative frameworks that might guide the training and licensing of “professionals” who propose to assist people in emotional or cognitive distress. Of course, I’ve also been rather beaten up here at Mad in America for offering the same observation. It would seem that many people feel they have been damaged by the dominant paradigms of professionalized psychiatric care. Some would propose to simply abolish the whole mess, and walk away. I’ve found that such proponents can be quite punishing toward others who disagree with their particular brand of orthodoxy. I don’t see such an approach as helpful, for it leaves many people in severe distress without supports for any kind of healing. The alternative, it seems to me, is to allow any quack who can (figuratively) wave their arms or practice the laying on of hands, to victimize and defraud people who are hurting and their families who are at their wits end in dealing with bizarre behavior. The truism is none the less true: if you aren’t part of the solutions then you’re part of the problem. isn’t that what’s happening already? When did “severe distress” become an “illness”, and when did the “medical profession” become it’s cavalry? In reality, never is my guess. The “human services” profession, in collusion with the pharmaceutical industry, has learned how to market it as such, and business, thus far, shows no signs of letting up. Also not everyone who is in the clutches of psychiatry IS “severely disstressed,” except for what is being done to them. Sometimes they have caused OTHER people distress. “…professionals are developing alternative classification systems” and are, therefore, continuing to spin their wheels endlessly, wasting everyone’s time, money, energy, and human resources. At least it’s clear that the DSM is fake news, so to speak. Still, nothing short of a complete pole shift in perspective will be “alternative” enough to solve these problems born from dualistic, hierarchical thinking spawning endless spirals of profound core anxiety, stubbornly stalemate issues, and chronic social conflict. Only resentment and chaos can possibly be created from this one-sided perspective of “you are sick and I am well.” That is ALWAYS an illusion! Although, there is quite a bit of diversity in the spectrum of ease vs. effort in life, dominance of anxiety and confusion vs. calm and clarity in one’s process, as well as power to manifest what one desires as opposed to feeling one cannot make things happen. These seem like concrete and self-evidential discernments which have practical solutions, rather than categories of pathology which are, in the end, divisive and overall, useless to healing anything. I wonder if one element in the threads of change with respect to the DSM might have to do with outcomes. If there is no consistent record of effective strategies for improving outcomes in a given diagnostic label or category, then it seems to me that the validity of the label itself should be called into question. Such labels should be dropped from any effort to categorize cognitive and emotional issues in order to select modes of therapy or healing. Of course by this criterion, much of the DSM would disappear. That being said, one part of the challenge before both proponents and opponents of the DSM or its alternatives, is the reality that some people are so disabled by their cognitive and emotional issues, that they cannot function in the societies which exist around us. People who feel compelled to violence or bizarre behavior by the voices which only they can hear may comprise a real danger to others. Such dangers are unavoidably consequential. Not all hearers of voices are violent, nor do the majority of those in personal crisis hear voices. But even among the non-violent we must still face fundamental issues. We all live embedded in a society. When we perceive and behave in a manner which others around us do not understand, or which renders us unable to support ourselves independently as adults, then it seems to me that we cannot reasonably expect our families or the larger society to adapt itself to our eccentricities. There can be some elasticity in the interface between the individual and the larger society. But the rights of individuals are not infinite and we do not exist independently of the society. Not being understood and being dependent on others are two totally different states of being. Our society has a major “learned dependence” component, so I believe that is a complex and relevant issue which deserves deeper exploration. How does social change and evolution happen if it is not challenged by our “eccentricities”? And btw, I don’t know anyone at all who doesn’t have eccentricities, that would be called our “uniqueness” in many circles. I think it is reasonable and fair for each person to choose what they are willing and capable of accommodating and what they are not. These are personal discernments we make moment to moment which define our personal space. Profound distress happens when our boundaries are chronically disrespected. That creates feelings of lack of safety and paranoia. If like minds were to come together over this self-awareness, I think more sound and cohesive societies could be formed. Right now, respect for diversity is what is lacking, and the result is a lot of shaming, oppression, and violence. The MH System teaches dependency, encourages continued dependency, and wouldn’t be able to sustain itself if its subjects didn’t remain dependent and addicted to it. This is its “Guild Interest,” as R Whitaker points out. This is across the board, in psychiatry and psychology (psychiatry’s stinking armpit) both, spanning throughout the realm of psychotherapy. They call it “help.” Watch out for those “free” 800 numbers! If it’s professional mental help it is the worst four-letter word out there. It should be avoided, probably banned. It is a danger to the human species. Even if we uncritically accept your premise of moral corruption among professionals who purport to treat people with severe problems of functioning in society, the question remains: how would you propose to help people who are desperate for help, or suicidal or violent? Deserting them in their pain also has a profound moral implication. I would suggest, as starters, listening and caring instead of diagnosing. I would suggest listening and caring if a person asks for help. Right now, if a person goes to an ER as a psych patient, what happens? You get a security guard, you get your stuff taken away, you get strip searched, you get locked in a room and that’s it. Maybe ten minutes of talking to someone who has their other hand on a panic button, who treats you like you’re a subhuman “thing.” You have to sign a paper and no matter what, you lose your rights anyway. You might get a phone call, one phone call, but that gets monitored. Lower than the animals. I don’t even call that medical care, it’s an atrocity, it’s torture. If you truly see those you treat as having these defective brains, or irretractible chemical imbalances without any wiggle room or question or possibility that maybe that’s not true, then you are doing your patients a disservice. It is a crime. Every time you tell a patient, “You will have to be in treatment for the rest of your life,” that is a crime, because as a professional, you speak to that patient and that family from a voice of authority, and the patient (and family, if present) are all suffering and vulnerable. So when speaking as God-like hero, and speaking as healer, your word has such clout, diagnosing the patient and proclaiming that patient permanently deranged, this is a terrible crime. It changes a person forever, it changes the course of that person’s life, harming that person horribly. These doctors believe they are healing, and they never realize the harms. Many see themselves as saviors of mankind. It’s so sad. They don’t realize that in a few years, or even a few months, whatever supposedly permanent condition that patient is in might simply go away on its own. Many times a patient shows up in terrible shape and the attending doc has no perspective on the situation. Often times, especially in crisis, these doctors have no idea of the timeline. I hear so often from people that they have felt suicidal for 20 minutes and then, go to an ER, and while there, the feelings dissipate before they are even seen, but they end up incarcerated for two months! Conversely, I know people who fall between the cracks and bypass the System altogether. They may or may not be nut cases and the professionals out there will never know, nor care. They won’t be on the books. Because they haven’t walked into a shrink’s office. They have not been “seen.” Who knows, that might be your coworker, or you. Anyone who walks into the office of an MH professional can get a dx. Standing invitation. And if someone does not feel well, or if a loved one does not feel well, or is out of sorts, maybe we gotta ask. Caring…how’s that? And stop all this misunderstanding. And stop locking people up. And stop excluding people and shoving away like they’re some piece of worthless dirt. There is no pathology. That’s for a laboratory. That is a disease, like the flu or cancer. Keep that word in the lab, unless you wanna keep treating people like lepers. Yeah, let’s come up with new names to call the crazies. That should solve the problem for sure. So often people used to come up to me and say, “I’m sorry for your pain.” I never quite knew whose pain it was. I am NOT in pain. I feel joy to tell stories and have the ability to do so. I think therapists project their own problems onto their patients and play out their own childhood abuse issues onto their subjects. On and on.